Attach it! Show your pride with decals! 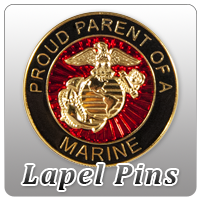 Square window decal says "My Daughter Is A Marine" with EGA in round seal. Measures 4.25 x 4.5 inches total. Round seal measures about 4 inches in diameter.